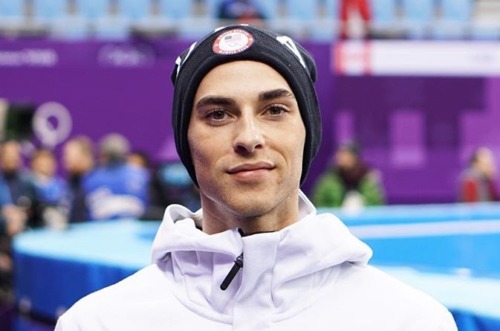 Adam Rippon, aka “America’s Sweetheart,” has deemed Vice President Mike Pence worthy of attention now that he has completed his Olympic duties. The bronze medalist made headlines for criticizing the choice of Pence to lead the Team USA delegation at the opening ceremonies in South Korea. He noted that Pence signaled support for conversion therapy while running for Congress, as well as the anti-LGBTQ policies of the Trump administration. Rippon said that he would not shake his hand, as is customary, after the opening ceremonies if he had the opportunity to do so, and also turned down a chance to speak to him one-on-one. He also said that he had no plans of attending the White House visit, and would instead “do something positive,” like host a gay rights event. Rippon is now saying that he will meet with the vice president, explaining that he chose to turn down a phone call from him before the Olympics were over because he needed to focus on the task at hand. Kenworthy also came out against Pence leading the delegation, following Rippon’s comments. Kenworthy also tweeted out a photo of his broken thumb, joking that at least it meant he wouldn’t have to shake Pence’s hand. Rippon said that now that the Games are over he would take a phone call from the vice president. While he is more open to dialogue now that he no longer has to focus on the competition, it is obvious that the call, should it happen, could be quite awkward indeed. “Mike Pence doesn’t stand for anything that I was taught when I grew up, and I think that it’s important if you’re given the platform to speak up for those who don’t have a voice,” Rippon said on Today. There is already proof that what he has done in being brave enough to speak up has had an impact. Related: Will America’s sweetheart Adam Rippon inspire pro athletes to finally come out?